Now before we start, I don’t see myself as experienced enough to hand out solid advice, so take these points below as tips based on my past year as a new writer. Story – Let’s start with the obvious. 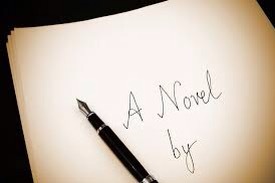 The backbone of a successful novel in any genre is an intriguing storyline. Keep it real, keep it interesting and throw in a few surprises along the way. If you can come up with even one thing that you believe hasn’t been done before, you’re onto a winner! Research – I was very lucky to have visited a place of which to base my novel on. This meant that all along I had a very clear picture in my head of the location. It’s not just about location. Research everything to do with your idea. Research people behaviour, crimes and the ins and outs of the business you may mention in your book. These things are important. Time – Find the time to write wherever and whenever only when it is not at the expense of others. Some of my best writing days have come on the train to work each day. No one is too busy to write a novel. Positivity – surround yourself with people who believe in you and what you are setting out to achieve. Stay positive, it can be a long process! Free yourself of negative intrusions. Good luck! I can strongly recommend this adventure to anyone willing to take that first step and put pen to paper. That first line is the beginning of something special and the last line is the fitting end to an amazing accomplishment! Don’t forget to keep an eye out for my blurb to ‘A Hole in Serenity’! Thank you as always to you all for your amazing support. What am I expecting to achieve…? Great piece Mark. I’m glad you brought out positivity because I often end up leaning toward perfectionism until it ends in the destruction and yet another idea scrapped. Have a great day! Hi there! Thank you for stopping by. I will definitely take a look at the page. Take care, Mark. Hi there. I’ve just started writing as a tool to deal with things I find difficult to talk about. I started writing passages and wondered if I could piece it into a book one day but since I started my blog, I’ve been relegating these passages to my blog instead. How much of your own life dis you put into your blog and did you start writing the book from the beginning of the story or rather pieced together contributing thoughts and chapters?